Join us on 8/24 for a Joint Webinar with Future Facilities! 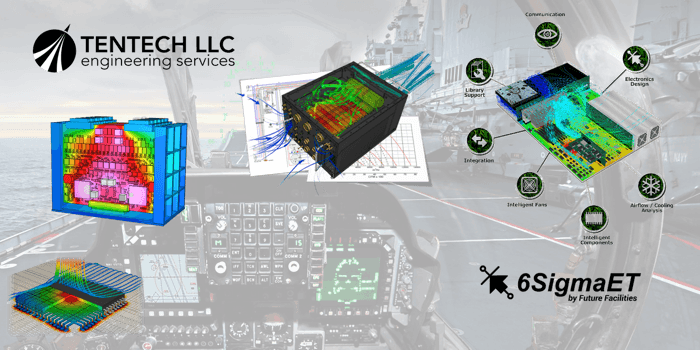 TEN TECH LLC and Future Facilities Inc are conducting a joint webinar titled "Aerospace & Defense Electronics Simulation". We will be discussing the thermal challenges we assist our customers with and the 6sigmaET toolset we utilize to evaluate and solve these complex problems.